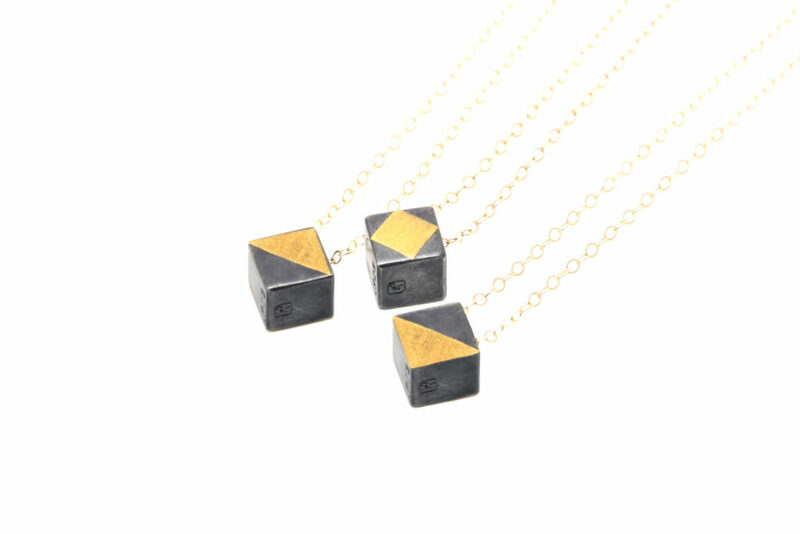 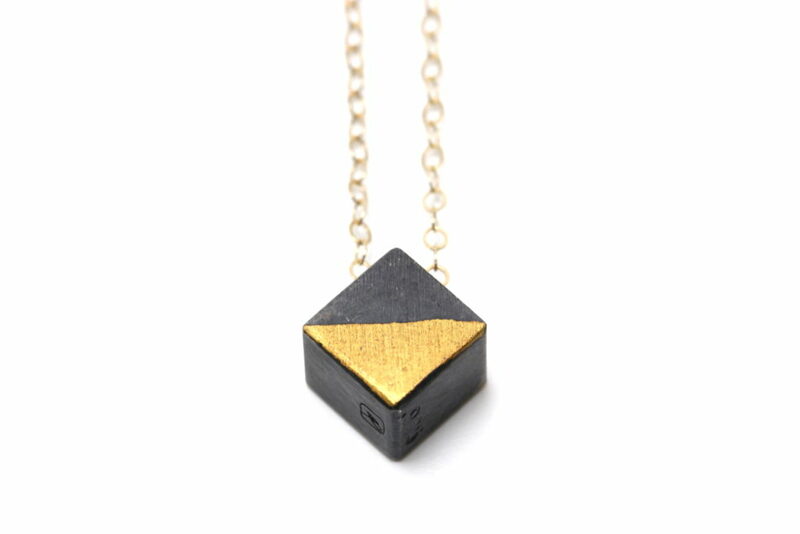 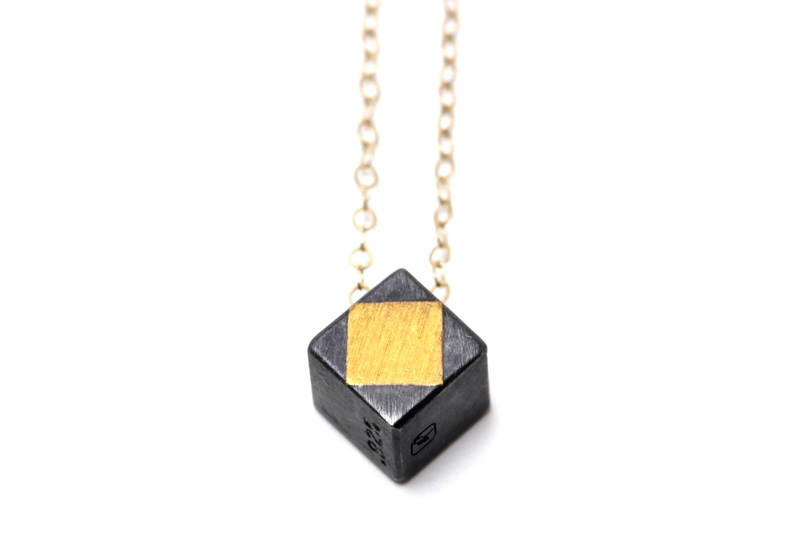 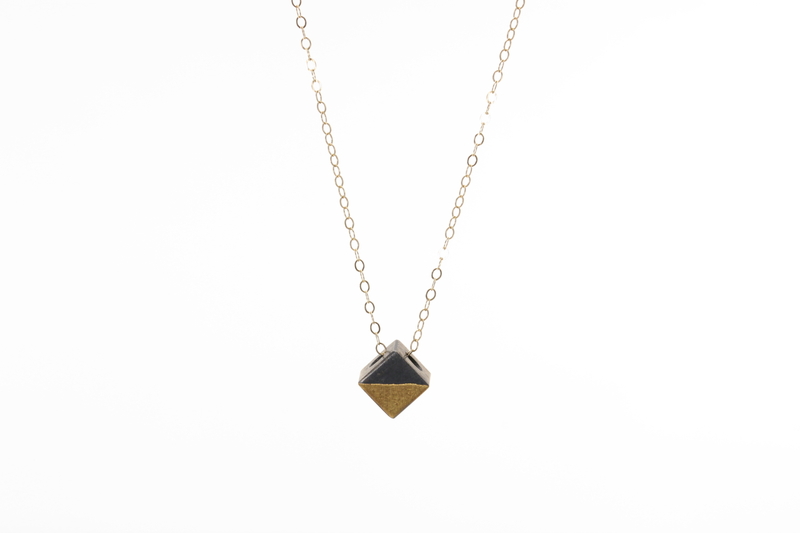 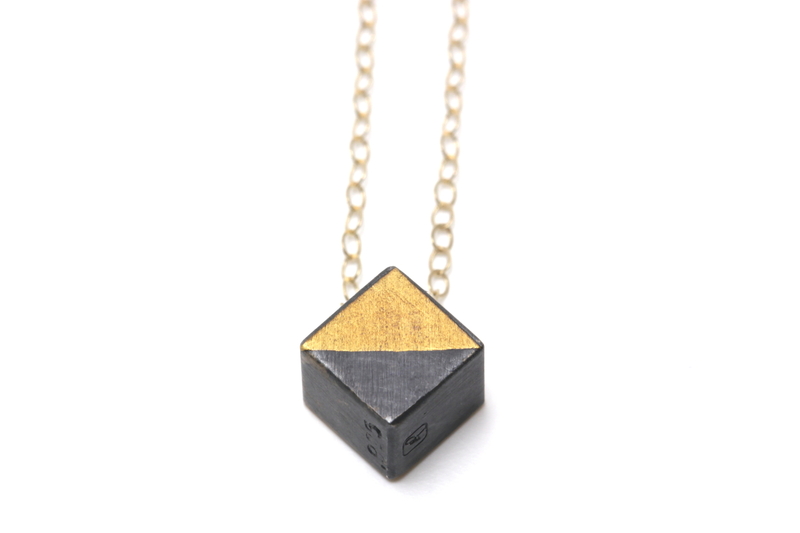 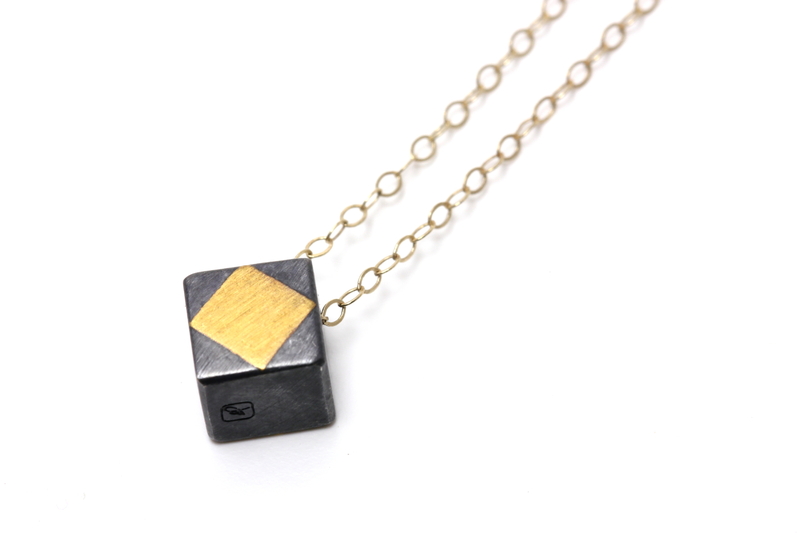 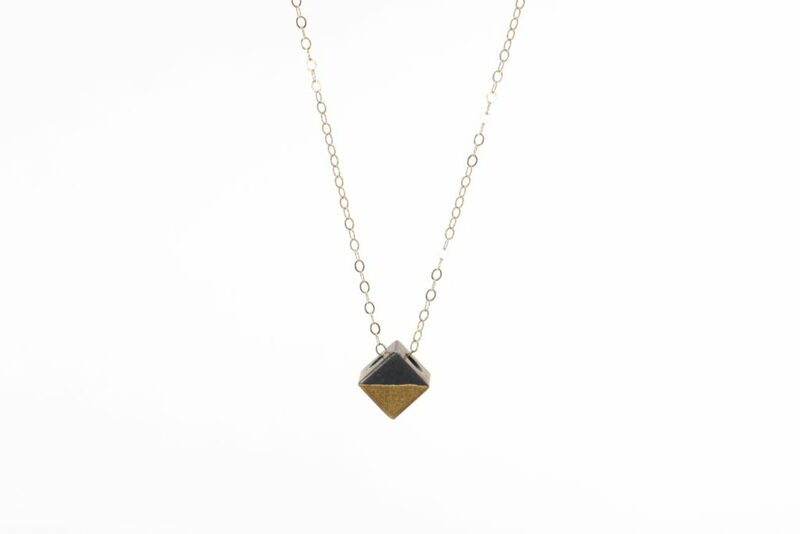 The Lux Cube pendants are similar to the Cube pendant with the exception that the silver has been oxidized (blackened) and accented with 24k gold. 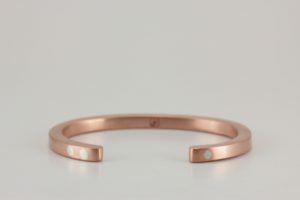 To keep the light and effortless look, an upgraded chain is used: a finer 14k yellow gold chain. 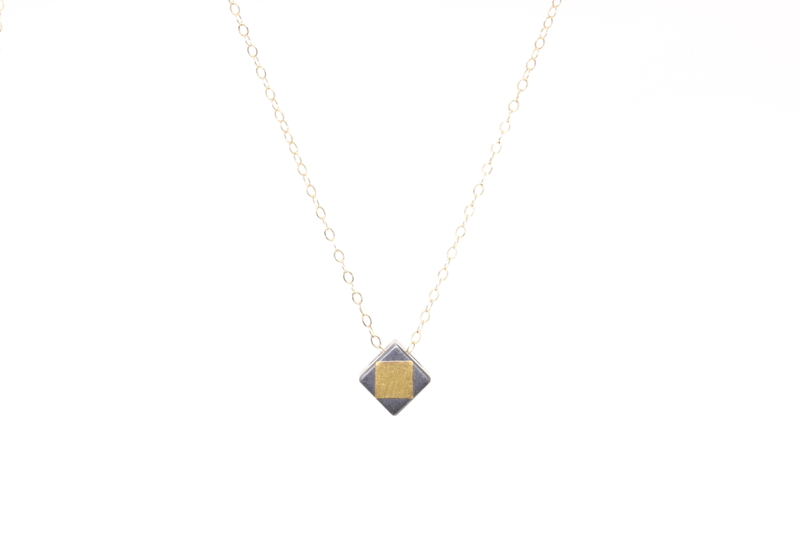 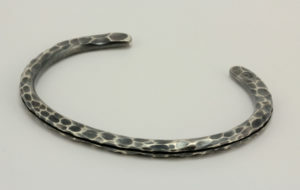 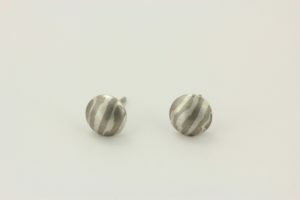 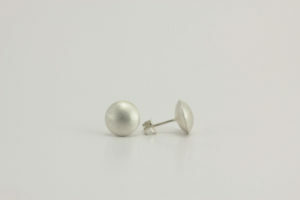 The pendant comes standard on a 18″ chain which can be easily shortened to your individual length.